When Anthea and her brothers and sisters walk down to the sea, a thick fog rolls in. It's up to Anthea, who is blind, to lead her family to safety. 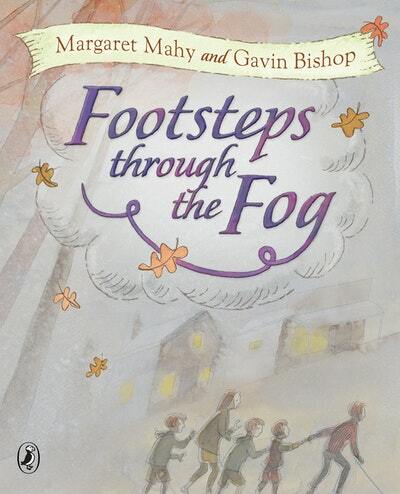 A new story from the legendary Margaret Mahy. Unlike her brothers and sisters, Anthea cannot see, so when they all go to the beach one day, their mother tells them to take care of her. While they are all playing on the sand, a thick fog rolls in from the ocean. Suddenly it's up to Anthea to get everyone home safely. Written by the legendary Margaret Mahy and with artwork by master illustrator Gavin Bishop, this is a beautifully told story that will give readers young and old a new perspective on blindness. Mahy and Bishop have both donated their royalties for this project to the Royal New Zealand Foundation of the Blind. Love Footsteps Through The Fog? Subscribe to Read More to find out about similar books.